When Was The Last Time You Had Your Heatpump DEEP Cleaned ? Our Professional Heatpump Cleaning can save you up to 30% power usage for that unit by making the heatpump work less to heat or cool. 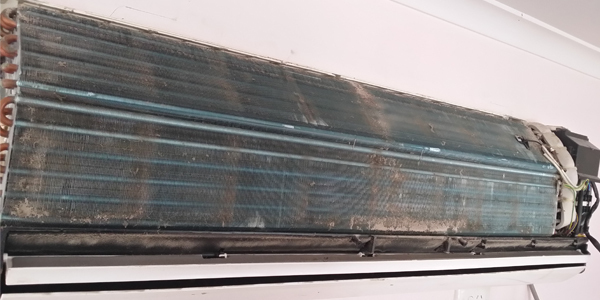 Our professional Heatpump Cleaning virtually eradicates microbial contamination, like mould, fungi, human & animal DNA and bacteria, which is good news for Asthma and allergy sufferers, children and the sick. A regular serviced Heat Pump will last a lot longer than one that never gets serviced. If you purchase a new car and never service it, you would easily shorten its life expectancy by up to 75%. Your Heat Pump is no different. Book our service is easy just call 0211023949 or fill in the Heatpump Cleaning Form at the end of this page. Our team will contact you ASAP to make a booking at a convinient time. We send you a booking confirmation. After the cleaning is complete we will supply you with our invoice which is payable by internet banking and all major crecit cards. Our Professional Heatpump Cleaning will arrive on time and deinstall covers and panels to access the heatpump fins. We then use our specially formulated disinfectants to virtually eradicate microbial contamination, like mould, fungi, human & animal DNA and bacteria. A though rinse is then done which which wash away any dirt and grime leaving your heatpump clean and smelling fabulous. All covers removed in step 1 are cleaned as well so that your heatpump looks like in near new condition. All covers removed in step 1 is then reinstalled and heatpump is tested. Kindly submit the form below and one of our team will contact you in 2hrs during working hours.